Update: Rep. Brad Sherman (D-CA), who asked Clinton about the War Powers Act during a classified briefing, said Clinton and the administration are sidestepping the measure’s provisions giving Congress the ability to put a 60-day time limit on any military action. 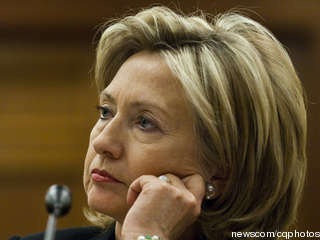 The White House would forge ahead with military action in Libya even if Congress passed a resolution constraining the mission, Secretary of State Hillary Clinton said during a classified briefing to House members Wednesday afternoon. Clinton was responding to a question from Rep. Brad Sherman (D-CA) about the administration’s response to any effort by Congress to exercise its war powers, according to a senior Republican lawmaker who attended the briefing. The answer surprised many in the room because Clinton plainly admitted the administration would ignore any and all attempts by Congress to shackle President Obama’s power as commander in chief to make military and wartime decisions. In doing so, he would follow a long line of Presidents who have ignored the act since its passage, deeming it an unconstitutional encroachment on executive power. Other than that, the lawmaker said he learned nothing new during the classified briefing by Clinton, Director of National Intelligence James Clapper and Adm. Mike Mullen, chairman of the Joint Chiefs of Staff. A cross-section of Democrats and Republicans are opposed to President Obama’s decision to authorize air strikes in Libya without seeking a resolution of approval or a declaration of war from Congress. Lawmakers ranging from Rep. Dennis Kucinich (D-OH) to Sen. Richard Lugar (R-IN), the top Republican on the Foreign Relations Committee, have groused about not being consulted before Obama took military action. The War Powers Act of 1973, passed in the aftermath of the Vietnam War, puts limits on the ability of the President to send American troops into combat areas without congressional approval. Under the act, the President can only send combat troops into battle or into areas where ”imminent” hostilities are likely, for 60 days without either a declaration of war by Congress or a specific congressional mandate. The President can extend the time the troops are in the combat area for 30 extra days, without Congressional approval, for a total of 90 days. After that, is unchartered territory. The act does not specifically say what Congress could do if the President turns a blind eye to Congress and refuses to have his role as commander-in-chief constrained, as Presidents have routinely done. The only options Congress would have at that point is to cut off funding for future military operations and override what would likely be a presidential veto of any such measure. Senate Majority Leader Harry Reid (D-NV) has asked his caucus to postpone any Libya resolutions until after they receive a classified briefing Wednesday evening. Afterward, Reid said, all bets are off and Democrats can offer any type of war powers resolution they want. Reid said he read sections of the War Powers Act to his caucus at a lunchtime policy meeting Tuesday. 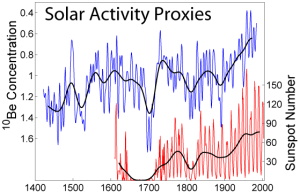 /article12804.htm” title=”Experimental Link Found Between Sun and Climate”>solar cycle influences global climate changes. They attribute recent warming trends to cyclic variation. Skeptics, though, argue that there’s little hard evidence of a solar hand in recent climate changes. Now, a new research report from a surprising source may help to lay this skepticism to rest. A study from NASA’s Goddard Space Flight Center in Greenbelt, Maryland looking at climate data over the past century has concluded that solar variation has made a significant impact on the Earth’s climate. The report concludes that evidence for climate changes based on solar radiation can be traced back as far as the Industrial Revolution. Another explanation, of course, is that this time period last year was dominated by the health care debate and for much of that period Fox operated as an extension of the opposition. Now that the nation’s focus is international it’s harder to figure out an angle where Obama is bad and…nuclear meltdowns and Qadaffi are good. Egypt extends olive branch to Iran; seeks to normalize ties Egypt’s new foreign minister Nabil Al-Arabi has said that his country also would like to turn over a new leaf with respect to Hezbollah in Lebanon. Al-Arabi cautioned that restoring diplomatic ties will depend on the Iranian side. Iranian’s Foreign Minister Ali Akbar Salehi has welcomed Egypt’s statements and said that better relations would improve security in the Middle East. He added that he hopes there will be “an expansion of relations” between Cairo and Tehran. Iran and Egypt have not had formal diplomatic relations since the 1979 Iranian Revolution when the Shah of Iran, Mohammad Reza Pahlavi was given exile in Cairo by his friend Egyptian president Anwar Sadat. A year before that, Iran ended diplomatic ties with Egypt when Sadat signed the Camp David peace treaty with Israel. More recently, Iran has been blamed by Egypt for using Syria and Hezbollah to expand its influence in the Arab world. 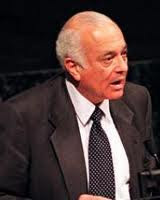 Iran’s President Nabil Al-Arabi viewed former president Hosni Mubarak as too closely allied with the U.S. and Israel. In 2010, Egyptian security forces arrested dozens of men connected to Hezbollah and convicted them of planning a terrorist campaign in Egypt. Twenty-six of the defendants were sentenced to very long prison terms. Al-Arabi is widely known to be anti-Israel and has suggested the Jewish nation be tried for genocide. 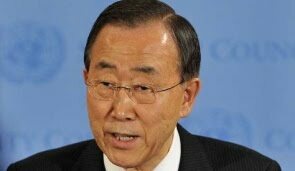 United Nations Secretary General Ban Ki-moon called on Israel Wednesday to halt settlement building in the West Bank and put a stop to all forms of violence and incitement, the UN News Center reported. Speaking in Uruguay at the UN Latin American and Caribbean Meeting in support of Middle East peace Ban said it was a “crucial time” for the Israeli-Palestinian peace process. “The target dates for reaching an Israeli-Palestinian agreement on permanent status issues and completing the Palestinian Authority’s two-year State-building program are fast-approaching. Yet, the Israeli-Palestinian negotiations remain at a worrying standstill. We must intensify efforts to break the deadlock,” he added. Negotiations between Israel and the Palestinians hit a standstill in September after Israel resumed building in the West Bank following a moratorium on settlement building. The secretary general continued, saying “actions that prejudge the outcome of the process must stop,” referring to Israel’s continued settlement building in the West Bank and East Jerusalem , demolition of Palestinian homes and other forms of violence and incitement. Ban then commended the Palestinian Authority for its efforts, the UN News center report said, praising the PA’s efforts to establish state institutions, enforce security in the West Bank and receive international funding and recognition of its statehood goals. The UN chief chastised Israel, the report said, calling on the government to take the necessary steps to improve economic and security conditions for Palestinians by removing obstacles to freedom of movement, stopping military operations and enhancing the PA’s scope of influence in the West Bank. Ban also implored Israel to further ease its blockade in Gaza, the report said, which has been under Hamas control since 2007. Israel has refused to negotiate with Hamas, whose charter calls for Israel’s destruction and is responsible for numerous attacks perpetrated against Israel and its civilians. In recent weeks, Hamas and the more moderate West Bank-based Fatah have been engaging in preliminary talks, with the possibility of unification in the future. Israel has made it clear that in the event that Fatah and Hamas join forces, Israel will not be open to negotiations, and Fatah must choose its ally. Ban reportedly condemned the recent escalation in rocket fire from Gaza to Israel, calling on both sides to prevent civilian casualties and act in conformity with international law, reiterating his “strong condemnation” of the recent bombing in Jerusalem, in which a 59-year-old British tourist was killed and over 30 wounded. The UN chief also said there “must be a just and agreed solution to the prolonged plight of the Palestinian refugees,” an issue that has been highly disputed in past peace negotiations. The two-day meeting in Uruguay will discuss settlement expansion, Jerusalem and the recent recognition of Palestinian statehood by governments in the region, including Brazil, Argentina and Uruguay, the report said. Pouring concrete on a critical reactor makes no sense – it will simply explode and release more radioactive particulate matter. The concrete will melt and the problem will get worse. Chernobyl was different – a critical reactor exploded and stopped the reaction. At Fukushima, the reactor cores are still melting down. The ONLY way to stop that is to detonate a ~10 kiloton fission device inside each reactor containment vessel and hope to vaporize the cores. That’s probably a bad solution. A nuclear meltdown is a self-sustaining reaction. Nothing can stop it except stopping the reaction. And that would require a nuclear weapon. In fact, it would require one in each containment vessel to merely stop what is going on now. But it will be messy. 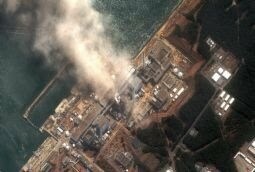 Fukushima was waiting to happen because of the placement of the emergency generators. If they had not all failed at once by being inundated by a tsunami, Fukushima would not have happened as it did – although it WOULD still have been a nuclear disaster. Every containment in the world is built to withstand a Magnitude 6.9 earthquake; the Japanese chose to ignore the fact that a similar earthquake had hit that same general area in 1896. Anyway, here is the information that the US doesn’t seem to want released. And here is a chart that might help with perspective. Making matters worse is the MOX in reactor 3. MOX is the street name for ‘mixed oxide fuel‘ which uses ~9% plutonium along with a uranium compound to fuel reactors. This is why it can be used. 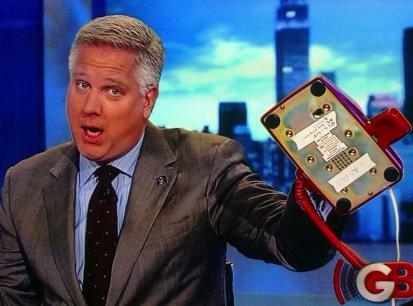 The problem is that you don’t want to play with this stuff. A nuclear reactor means bring fissile material to a point at which it is hot enough to boil water (in a light-water reactor) and not enough to melt and go supercritical (China syndrome or a Chernobyl incident). You simply cannot let it get away from you because if it does, you can’t stop it. The Japanese are still talking about days or weeks to clean this up. That’s not true. They cannot clean it up. And no one will live in that area again for dozens or maybe hundreds of years. Foreign Ministry instructs envoys in 30 countries to send ‘diplomatic protest’ to host nations over plan for September vote in General Assembly. Israel informed the 15 members of the United Nations Security Council last week, as well as several other prominent European Union countries, that if the Palestinian Authority persists in its efforts to gain recognition in September as a state within the 1967 borders, Israel would respond with a series of unilateral steps of its own. 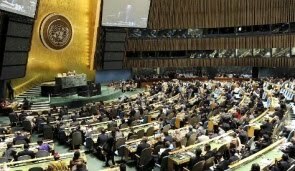 Senior Foreign Ministry officials said the ministry’s director general, Rafael Barak, sent a classified cable last week to more than 30 Israeli embassies, directing them to lodge a diplomatic protest at the highest possible level in response to the Palestinian efforts to gain international recognition for statehood at the UN General Assembly session in September. The Israeli diplomatic corps conveyed the message that support for international recognition, particularly by most of the members of the European Union, encouraged the Palestinians to forgo negotiations with Israel and to move more quickly toward recognition at the UN of Palestinian statehood. Israeli diplomats stressed that such a move violates the Oslo Accords and will not lead to a Palestinian state even if the General Assembly grants recognition, but could lead to violence on the ground. European diplomats have confirmed to Haaretz that such a message was conveyed several days ago. One diplomat said his country did not receive a serious response when asked what unilateral steps Israel might take. Another diplomat, from a European country, said in light of the current deadlock in negotiations, international recognition of Palestinian statehood appeared unavoidable in September. Foreign Ministry sources said no decision has been taken at this stage over a possible Israeli response to UN recognition of Palestinian statehood, and Prime Minister Benjamin Netanyahu has not held any major discussion of such a response on a formal level among his cabinet colleagues. Ideas have been floated on the right wing of the political spectrum in recent weeks, suggesting, for example, that Israel might apply Israeli law to the West Bank or annex major settlement blocs to Israel. September is expected to be pivotal for several reasons. Last September, U.S. President Barack Obama told the General Assembly that he wished to see a Palestinian state become a member of the UN within a year. In addition, Israel and the Palestinians had agreed that the talks they undertook last September 2 in Washington would last for about a year. Thirdly, Palestinian Prime Minister Salam Fayyad’s program of establishing institutions for a future Palestinian state is due to be wrapped up this coming September. Palestinian President Mahmoud Abbas met on Sunday in Ramallah with former Knesset member Yossi Beilin and told him that the Palestinian Authority would not engage in further negotiations with Israel after September. Senior Palestinian sources added, however, that if negotiations are resumed before September and make progress, the Palestinians would be prepared to defer efforts to gain UN recognition of statehood. Abbas told Beilin that it would be possible to engage in three months of talks in an effort to achieve progress before September, but Netanyahu would have to suspend construction in the West Bank settlements during that period. The PA leader added that the Palestinians would not renew violence against Israel, but hinted at his possible resignation or the breakup of the PA, telling Beilin that there is no October 2011 on his schedule. There are currently no contacts between representatives of Netanyahu and Abbas’s advisers, and Netanyahu appears to have backtracked on his intention to deliver a major policy speech to jump-start the peace process. U.N. resolution authorising no-fly zones. In the latest Russian criticism of military action by the Western-led coalition, Foreign Minister Sergei Lavrov said the resolution passed by the U.N. Security Council on March 17 had the sole aim of protecting Libyan civilians. “We consider that intervention by the coalition in what is essentially an internal civil war is not sanctioned by the U.N. Security Council resolution,” Lavrov said when asked about Libya at a news conference with the Kyrgyz foreign minister. Russia has veto power as a permanent member of the U.N. Security Council but chose not to block the resolution, which authorised “all necessary measures to enforce compliance” with no-fly zones. However, Russian leaders have expressed concern that the resolution gave coalition forces too much leeway and the intervention was causing civilian deaths. Prime Minister Vladimir Putin compared the resolution to “medieval calls for crusades”. Lavrov did not say whether Russia would make any effort to restrict operations by the coalition, which is now led by NATO. In Paris, a French Foreign Ministry spokesman said “the coalition of participating countries is strictly complying with the terms” of the resolution and the U.N. secretary-general was regularly informed of the measures being taken. Lavrov’s remarks, hours before U.S. President Barack Obama was expected to define the mission’s purpose and scope in an address, suggested Russia could step up criticism if the coalition took steps Moscow believed went further beyond its mandate. In Libya, rebels emboldened by Western-led air strikes against Gaddafi’s forces pushed west along the Mediterranean coast to retake a series of towns. Obama’s administration has praised Russia for allowing the resolution to go through but has clashed with the Kremlin over the subject of civilian casualties. In Moscow last week, U.S. Defence Secretary Robert Gates said some Russians seemed to take what he termed Gaddafi’s “lies” about civilian casualties at face value. Lavrov reiterated Russia’s concern about reports of civilian casualties, which he said had not yet been confirmed, and indicated Russia wanted U.N. Secretary-General Ban Ki-moon’s special envoy Abdelilah Al-Khatib to look into them. 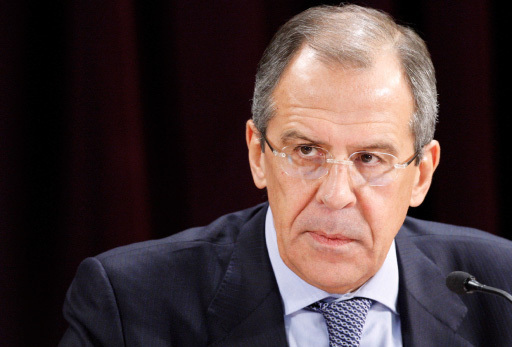 Lavrov said Russia’s concerns about the broad authority granted to foreign powers enforcing the no-fly zone were among the reasons it abstained in the Security Council vote.